There is a reason why the pineapple is known as the "King of Fruits". Its versatility makes it a useful ingredient in a variety of recipes ranging from the main course, dessert and even beverages. And to prove how useful it can be, Life Gets Better created an entire menu for you to try. 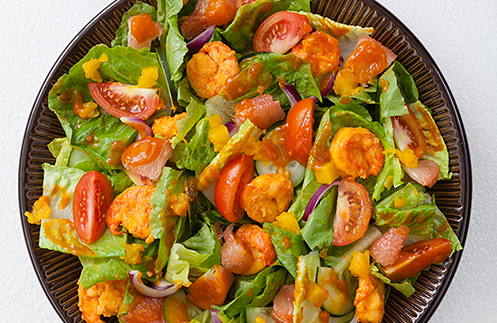 A classic shrimp salad is treated to a wonderful makeover in this recipe by marrying the different textures and flavors of onion, cucumber, tomato, lettuce, pomelo, Del Monte Crushed Pineapple and the juicy shrimp to make one, crunchy appetizer. 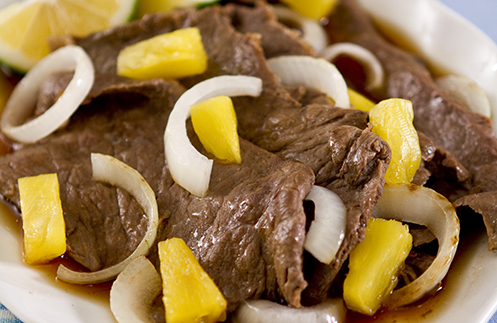 For the main course, pineapple plays a dual role in deepening the flavors of a common beef steak recipe. Pineapple syrup adds more depth to the marinade while pineapple tidbits create a sweeter note to the meaty dish. As Filipinos, it would never be a full course meal without rice. 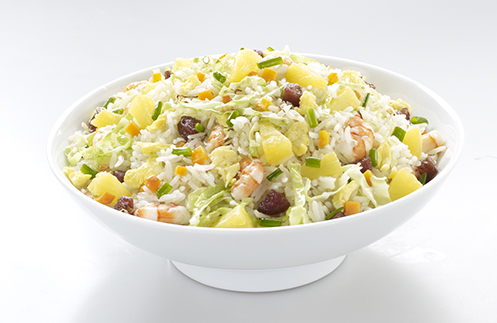 So for this special menu, we get to appreciate the versatility of pineapple as it mixes well with a variety of ingredients to make one filling fried rice. Pineapple is also a remarkable ingredient for dessert. Its unique flavor cuts through rich ingredients like milk and cream and its natural sweetness also blends well with other sweeteners like sugar and syrup. 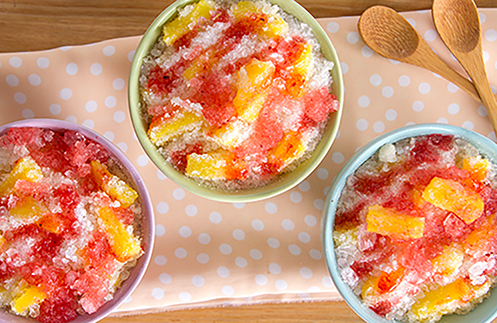 That’s why the Pineapple Scramble is a great choice to cap off a perfectly hearty menu as it makes use of the pineapple's best traits in one refreshingly, delicious dessert. But hold on, we're not done yet. We also have this special pineapple drink that mixes the sweet taste of the pineapple with the tart flavor of the green mango. When combined together, the result is a perfectly blended healthy and natural juice drink. 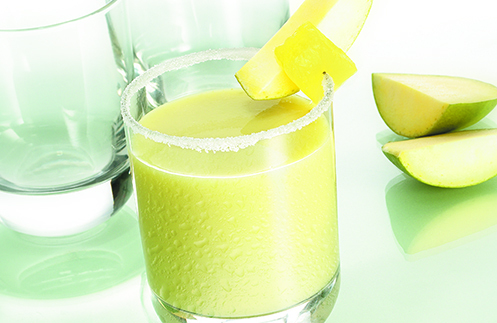 Explore the Del Monte Kitchenomics recipes for more pineapple-filled drinks and dishes.